Liverpool have shockingly identified a Manchester United forward as their summer transfer target. The Merseyside giants already boast of one of the best attacking lineups in the world, but manager Jurgen Klopp remains adamant on improving every possible area of his squad in order to compete for major silverware next season. In his search for apt reinforcements, however, the German tactician has surprisingly targeted a player belonging to Liverpool‘s fiercest rivals, Manchester United. The Red Devils also possess numerous world-class talents, especially forwards with left wing as their preferred playing area. One such players is the struggling young French sensation, Anthony Martial. The former Monaco starlet enjoyed a decent start to the 2017-18 campaign, wherein he bagged impressive stats whilst competing with fellow emerging talent Marcus Rashford for a starting role on the left wing. However, since the arrival of Alexis Sanchez in January, both Martial and Rashford have slipped down the pecking order, finding regular game-time hard to come by due to the Chilean automatically occupying the starting left winger role on the team sheet. The France international has since cut a frustrating figure at the Old Trafford outfit, with his lack of minutes on the pitch also resulting in him missing out from France’s 2018 World Cup squad. Several sources have been linking the 22-year-old with an exit from the Theatre of Dreams for a while now, with European giants like Bayern Munich, Chelsea, Juventus, and Tottenham keeping tabs on his situation in Manchester. But now, according to Express (via Liverpool Echo), Liverpool have also joined the race for Martial’s signature, with Klopp looking to take advantage of the dicey situation by swooping in for the pacey wide-man. 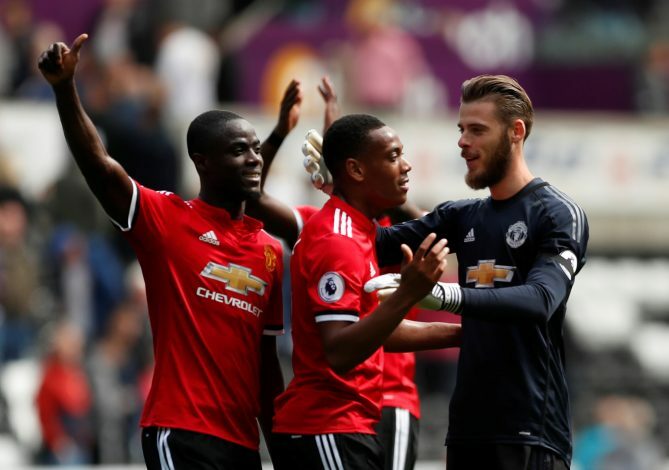 However, the report does add that Jose Mourinho is highly unlikely to sell a player as talented and promising as Martial to United’s direct rivals, thereby making this transfer far from plausible. Nevertheless, Klopp intends to coax the youngster by promising him regular and guaranteed game-time at Anfield, just as he did when the Reds went head-to-head against Chelsea while signing Alex Oxlade-Chamberlain from Arsenal. Do you think the 2018 Champions League runners-up will succeed in their pursuit of the Red Devil?